People who use wells for their household water needs are now able to bring water samples to the Nova Scotia Health Authority for chemical and bacterial testing. The health authority announced Wednesday it has extended the service outside of Halifax. Previously there wasn't enough equipment to provide testing across the province, it said in a statement. The new equipment will allow the health authority's laboratory to test a larger number of samples. Nova Scotians can now pick up and drop off water testing bottles for chemical or bacterial testing at locations throughout the province. The cost of testing ranges between $30 and $120, depending on the scope of the analysis. "It's impossible to tell whether well water is safe to drink by looking at it, smelling it or tasting it. It has to be tested," pathology and laboratory medicine senior director Shauna Thompson said. Most well users outside of Halifax had limited access to testing or didn't test their drinking water at all. 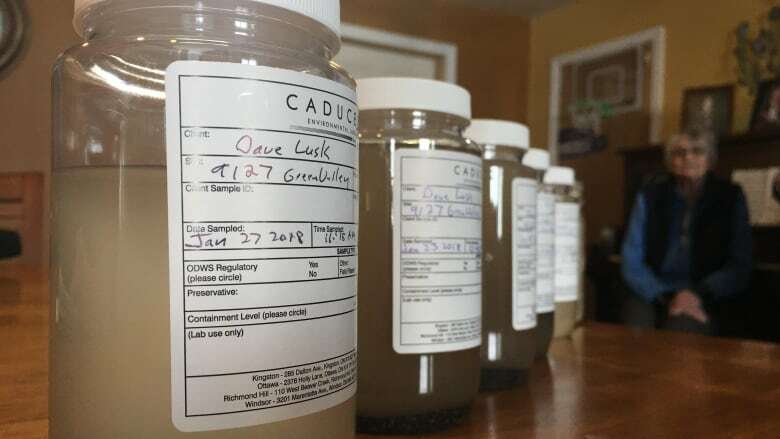 The provincial Environment Department recommends residents on well water have it tested for bacteria every six months, and every two years for chemicals such as arsenic, fluoride, lead, nitrate/nitrite and uranium. Bacterial quality is usually assessed by a coliform test.